Make your discoveries using the National DC5-420TH Stereo Zoom Microscope with 3.0MP Camera. Well-suited for both professionals and hobbyists, the microscope features stereoscopic binocular viewing, a 55 - 75mm adjustable interpupillary distance, and a built-in 3.0MP digital camera that allows you to view or save your imagery on your computer. The camera has a high-sensitivity CMOS sensor and delivers data to your PC via a built-in USB port. With the help of the included Motic Images software, you can easily view and save the captured content. Its optical system offers a 10 - 40x magnification using a combination of an adjustable 1 - 4x objective lens and two 10x wide field eyepieces. With the achromatic optical elements, any color distortion will be dramatically reduced to deliver clear, crisp, and vivid images of your coins, gems, plants, or insects. 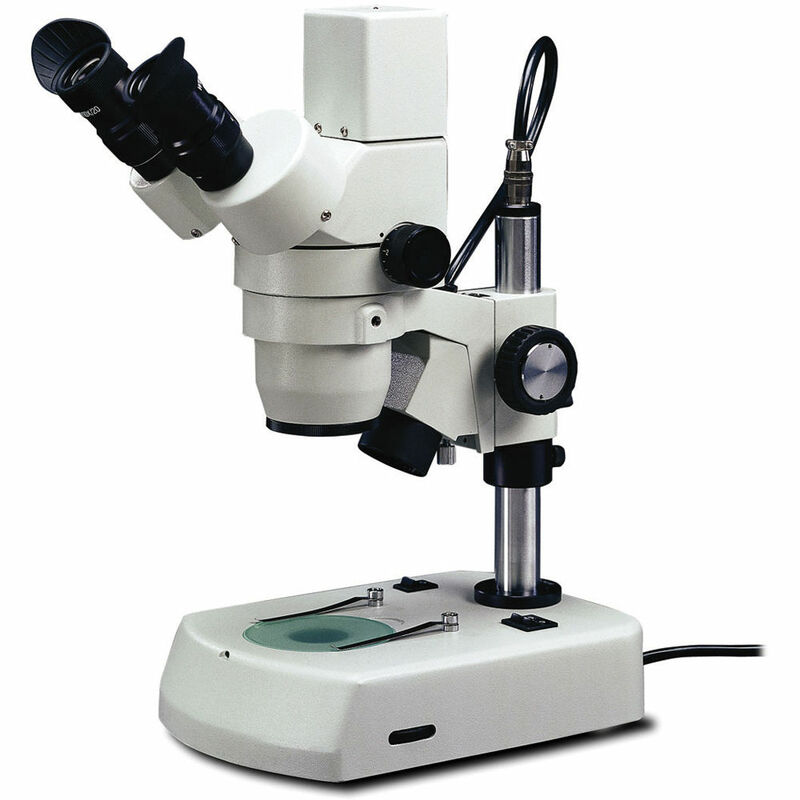 To enhance your viewing experience, the microscope also offers a 3.1"-long working distance and will accommodate samples up to 3.7" in height. It also has a built-in rack and pinion focusing mechanism for precision, repeatability, and strength. Regardless of the lighting conditions in your work environment, you will get the brightest and the clearest views possible with the two halogen lamps, a 15W top lamp and a 10W bottom lamp. For strength and durability, the frame is made of metal and treated with a gray enamel finish. Box Dimensions (LxWxH) 18.4 x 17.4 x 10.4"